Selecting the right strategy execution platform is an important choice - here are 7 requirements you need to keep in mind, as i-nexus' Executive Vice President of Sales & Marketing, Rob Hill, explores. The selection of an enterprise-class strategy execution platform can often have a multi-million or multi-billion dollar impact, and that makes getting the right software a decision that cannot be rushed. However, making that choice doesn’t have to be difficult, as I’m going to highlight with these 7 requirements you can’t miss when choosing a strategy execution platform. Why is it important to choose the right strategy execution platform? Your company’s strategy is core to what you want to achieve. Choosing a strategy execution platform means finding a solution that is built to help you meet your goals, whatever they are. But that choice of platform isn’t easy. Get it wrong and you can potentially derail or delay a major strategic initiative or transformation. Get it right and the enterprise platform will help you execute your strategy and gain an advantage over the competition. This type of platform is not one where a low cost represents great value but often it presents much greater risk. Determining the value of the Strategy Execution platform is quite difficult as much of the marketing noise is designed to muddle the differences in functionality, technology, information security, R&D investment, scalability plus other critical value and benefit dimensions. When it comes to common key questions we hear, it’s a rule of three: Risk to scale, cascade and execution in a secure manner. Many organizations choose to partner with i-nexus due to our scale, financial stability, existing partnerships with Fortune 500 organizations and 18+ year global experience. The key to getting what your organization needs from a strategy execution system is knowing what to look for. After all, not all platforms will give you what your organization needs - your requirements are what brought you to the stage of finding the right solution. What are the requirements you should keep in mind when choosing? Enterprise platform vs Tier 2/3 platform. Not all software is designed and tested to operate at scale for large, complex global organisations. Whether it is the scale based upon user volumes, number of employees, locations or projects; or security configuration to limit access. The reality with all software tools is there is an Enterprise standard as well as Tier 2 and Tier 3 solutions. What is the level of customer support and what will be done to help make your on-boarding a success? The scale, location and experience of the Customer Success & Support capability is a vital measure of an Enterprise vendor. A client must be reassured that there is enough depth in terms of both actual people and experience to safeguard your deployment. The i-nexus Customer Success and Support team comprise around 20x people in Europe and North America to ensure our clients get the maximum level support possible. Have you done your due diligence when it comes to knowing the company behind the software? Are they financially stable? Whilst really a ‘table stakes’ discussion point, it is critical to complete the appropriate level of due diligence on partner vendors. Are they a publicly traded organisation reporting opening to shareholders with significant funding to ensure ongoing R&D investment and development; or a small, opaque private company? How much investment is being placed into the research and development budget of the platform? What is the annual Research & Development budget of the vendor? Is there a clear roadmap that is financially supported? These are two key questions to be asked, and as an Enterprise Strategy Execution platform we are proud to invest around $2Million every year in our R&D. How seriously does the provider take Information Security Management? Your strategy execution platform will hold the ‘crown jewels’ of how your organisation is going to execute their strategy… Market critical information! Therefore it needs to be protected like the crown jewels. Check if the vendor has an ISO27001 Information Security Management system. Is this audited? How seriously do they take Information Security? When was the last penetration test? How robust is their approach? Is the platform capable of scaling to meet the requirements of your business? What plans are in place in terms of disaster recovery and business continuity? An enterprise class strategy execution platform must have robust disaster recovery and business continuity capabilities. This is a major investment in terms of people, process and infrastructure; often adding considering cost to the recurring charges a client must invest in. The starting point for determining software value is identifying the requirements that must be satisfied, including both functional and non-functional requirements. These non-functional elements as outlined above must all be ‘knockout’ questions. Fail one and the platform is out of contention. Sometimes the wrong software is bought, which if lucky sets a ceiling on how well it can meet the organization's requirements; or in the worst case it will totally derail the execution of a global strategic transformation. When software is bought on price, you can absolutely guarantee that shortcuts were taken, and a thorough requirements analysis was not done. Such projects always carry a serious business risk. On the other hand, organizations undertaking the rigor of a mature software selection process and selecting a product by value are far more likely to achieve the desired outcomes. 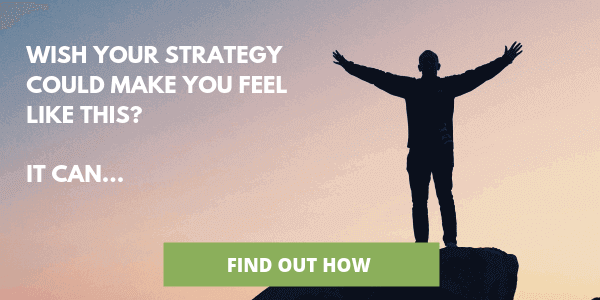 Need help choosing a strategy execution platform? Want to discuss these thoughts in more detail? Set up a call with our Solutions Director, Anne Docherty, on +44 (0)7723 711809. Alternatively, reach out to us at marketing@i-nexus.com to get the conversation started. Rob Hill is i-nexus' Executive Vice President of Sales & Marketing. With 20+ years of global Cloud enterprise software experience, his passion is on delivering genuinely transformational and sustainable solutions which add value by solving real business problems, resulting in amazing customer satisfaction and retention with a genuine ROI.